The goal is to control procedures, practices, and processes to prevent allergen cross-contact. This means that during storage, handling, and use of food products in the facility, reasonable steps are taken to prevent cross-contact and to prevent undeclared allergens from getting into products. This starts by forming an allergen-control team, or identifying an allergen-control captain to lead the efforts. The team should be familiar with the ingredients and products in the facility, the processes that take place there, and the sanitization requirements for the facility’s equipment. They should be empowered to propose alternative processes to prevent allergen cross-contact, and to review and analyze existing procedures to make sure they are maximally effective. In terms of practical controls, preventing allergen cross-contact starts by knowing what is in ingredients. 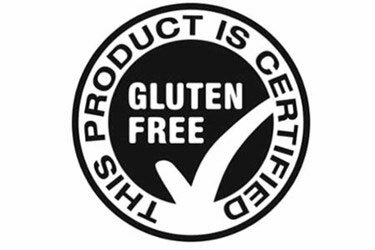 An important first step is getting supplier verifications regarding the allergens that are in the ingredients they supply. 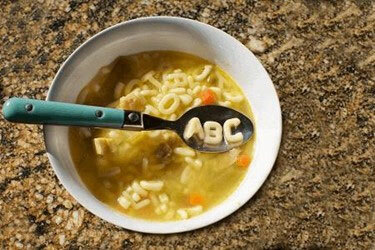 Make sure any allergens present in an ingredient are conspicuously labeled. Color-coded labels can be an effective means to indicate the presence of an allergen. When storing ingredients, do your best to segregate allergen-containing ingredients from allergen-free ingredients. If separate facilities are not available, try separate store rooms/coolers. If that is not an option, take common sense steps, such as putting allergen-containing ingredients on the bottom shelf so that they cannot spill into anything else and making sure containers stay clearly and safely sealed. When producing food, allergen controls should prevent as much overlap as possible between allergen-containing and allergen-free products. Where available, allergen-free products should be run on a separate production line where no allergen-containing ingredients are introduced. If an allergen-free line is near an allergen-containing line, physical barriers (i.e. a wall) should be erected to separate them and separate ventilation systems may be appropriate to avoid airborne cross-contact. Where separate lines are not possible, changeovers should be limited as much as possible. In other words, run as many allergen-free products as you can before running allergen-containing products, and then run as many allergen-containing products as you can. Sanitization should be scheduled for immediately after the completion of an allergen-containing run. Besides segregated product runs, you can minimize cross-contact risk with reasonable employee and equipment controls. 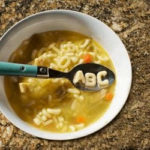 For example, tools, containers, and utensils used to handle a particular allergen or ingredient containing an allergen should be clearly marked and easily identified. Think of a purple handle for anything coming in contact with peanuts, for example. Employees who work on product runs which contain allergens should be restricted from working on products that are allergen-free. Where this is not possible, extra sanitization should take place between runs, including a change of uniform, hairnet, smock, etc. Allergen-free apparel should be colored differently than that worn when processing allergen-containing products. Consider traffic patterns in your facility as part of your allergen control plan. Allergen-containing ingredients should be stored as close as possible to the allergen-containing production line to minimize cross-contact with other products. Likewise, employees should not be going from one line to the other without proper sanitization procedures. These controls will help “significantly minimize” the allergen cross-contact hazard in your facility. The second component of an allergen control plan deals with the labeling of finished food products. 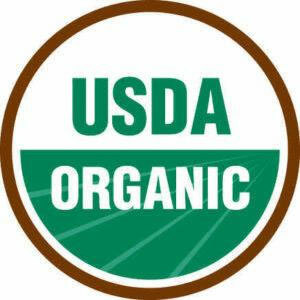 A discussion of food labeling requirements, including the vagaries of “advisory labeling,” could go on for pages. Of importance to your allergen control plan is ensuring products are not “misbranded” pursuant to the Federal Food Drug & Cosmetic Act. 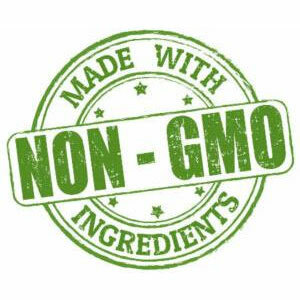 A product is misbranded where it contains an undeclared major allergen. Taking the steps discussed above will help reduce the likelihood of allergen cross-contact occurring in your facility, and thus will reduce the likelihood that an undeclared allergen will make it into your product. Like everything else, the effectiveness of an allergen control plan will depend largely on staff training and education. Let staff know the risks — and legal liabilities — of an undeclared allergen to a consumer with a serious food allergy. Provide staff training on allergen awareness and control for all employees at all levels of the company, at least annually. Specific training should also be provided to employees whose job duties would put them at greater risk of an allergen cross-contact incident. All training should be documented so it is known who has been trained and when training should be renewed. While there is no way to completely eliminate any risk of allergen cross-contact, provisions like those discussed above will help to significantly minimize the cross-contact hazard, as required by FSMA’s food safety plan regulations. There is some confusion over Hazard Analysis and Critical Control Points and the more-recent food-safety plan, Hazard Analysis and Risk-Based Preventive Controls. Here are the key differences. 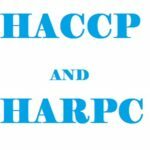 Both Hazard Analysis and Critical Control Points (HACCP) and Hazard Analysis and Risk-Based Preventive Controls (HARPC) are discussed, almost interchangeably, albeit incorrectly, in food-processing circles. The truth is that if you were to ask most food processing professionals to explain the differences between the two, the answer may not come so easily. HACCP is a global standard, developed in the late 1950s and early 1960s by a team of engineers and scientists from three distinctly different organizations. Pillsbury, the Army’s Natick Research Labs, and the National Aeronautics and Space Administration (NASA) joined forces to draft and adopt a global, food-safety standard in keeping with, and as part of, the Codex Alimentarius. The Codex commission was established by the Food and Agriculture Organization of the United Nations (FAO) and the World Health Organization (WHO) in 1963. HACCP was originally developed as a way to ensure built-in quality and food safety, specifically for the manned space program, though it has evolved greatly since that point in time. HACCP’s evolution has been continual, resulting in an effective and efficient, comprehensive food-safety management system (FSMS). Pillsbury publicly presented the HACCP concept at the 1971 National Conference on Food Protection, jointly sponsored by the Food and Drug Administration (FDA) and the American Public Health Association (APHA). In 1974, the FDA incorporated its concepts into its low-acid and acidified-food regulations. By the end of the 1980s, McDonald’s started requiring all of its suppliers to adhere to HACCP in order to ensure the safety of the food being served in its restaurants. Spurred by the marketplace, rather than legislation or regulation, other large companies followed suit and HACCP became the standard by which to measure food safety. In 1989, the National Advisory Committee on Microbiological Criteria for Foods (NACMCF), published the first official HACCP document, standardizing the practice and presenting the seven principles of HACCP: (1) Hazard Analysis, (2) Critical Control Point Identification, (3) Establishment of Critical Limits, (4) Processes for Monitoring, (5) Corrective Actions (6) Record Keeping, and (7) Establishment of Verification Procedures . The rest, as they say, is history. 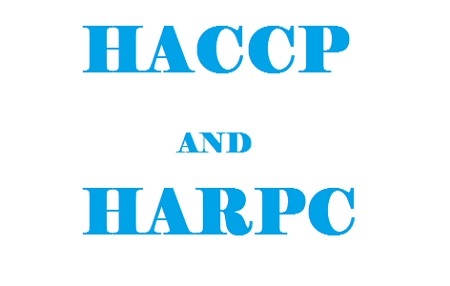 Moving forward, HARCP is not a global standard, but an updated U.S. standard incorporated into the Food Safety Modernization Act (FSMA) on July 4, 2012. Whereas HACCP generally applies to low-acid, canned food, juice, and seafood processors, HARPC applies to almost all food-processing facilities. The only facilities not required to comply with HARPC are those subject to the Standards of Produce Safety, those already governed by HACCP, and those facilities regulated by Good Manufacturing Practices (GMP) for Dietary Supplements. Small and very small business entities, as defined by the FDA are also exempt. Finally, unlike HACCP, HARPC includes planning for potential terrorist acts and/or intentional adulteration and food fraud. A facility’s HARPC, food-defense plan should include additional security, such as visitor access and control.To put it even more simply, if you have an effective HARPC plan in place, you are also in compliance with HACCP mandates. If, however, you currently function under HACCP guidelines, it is your responsibility to determine if you must comply with HARPC under FSMA.